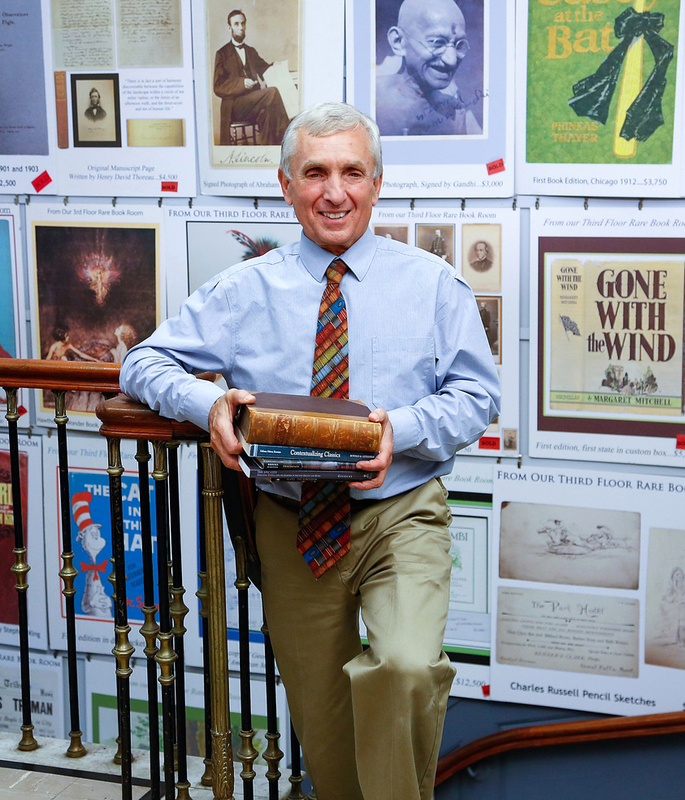 Ken Gloss is known to millions of Antiques Roadshow viewers as the owner of Boston’s Brattle Book Shop, one of America’s oldest book stores, which traces its lineage to 1825. It has been owned and operated by the Gloss family since 1949, first by Ken’s parents and now by Ken. He started working for his father in the store about the time he was 5 years old and a family joke is that the first word he spoke was “books.” He worked for his father during school years and remembers, “my father would fire me regularly, sometimes more than once a day.” But father and son persevered. Ken, now 68, began full time in the book business in 1975 when his father had major heart surgery. Gloss writes extensively on the subject of dealing books and has appraised books for Harvard, the FBI and other institutional clients. The shop has more than 250,000 books, including rare first editions, maps and fine bindings. 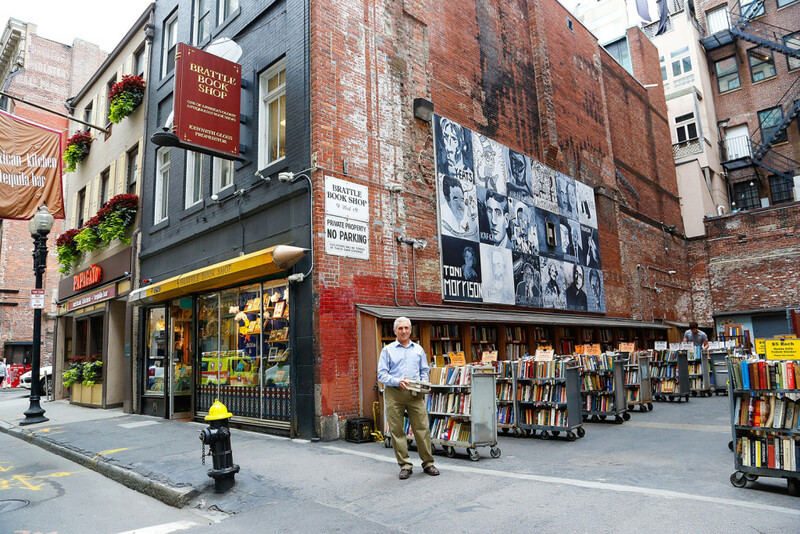 How has Brattle Books prospered over the years? It isn’t just one thing that we do; it’s a combination of factors. We have a knowledgeable staff, we know the antiquarian book world, and we know how to merchandise good used books. We have an open shop in a three-story building we own in the heart of downtown Boston. Adjacent to the building is a vacant lot that we also own, which is filled with thousands of good used books priced at $1, $3 and $5, and it is open every day unless it is raining or snowing hard. Regular customers and tourists browse those shelves daily, and we often have to refill them several times on busy days. Owning the building and the lot makes it all possible. There used to be dozens of used bookstores in downtown Boston, but rising rents forced most out of business. That means we don’t have a lot of competition for the retail trade in Boston. My dad, who truly was a legend in his time, was a “showman” and very early I learned the importance of a strong public relations program. Tell us about your public relations program? We do everything we can to keep our name in front of the public; the most important reasons being it draws people with books to sell, and it also makes us a “destination.” At least twice a month, I give talks to library or other groups that want to hear about old books. I’ve done hundreds. We offer free appraisals at the end of those talks and that really draws people to the event. In the suburbs and smaller towns, we almost always get free publicity in the local newspapers. Fortunately, Boston’s radio and television personalities frequently want to talk on air about old books, so I get to talk to a wide audience. You hear a lot of people today talk about “social media.” I’m a big believer, so we use Twitter, Facebook, Instagram, etc. We’re posting almost daily and often more than once a day. I also do professionally recorded podcasts twice a month. They’re entertaining discussions about books. The audience is building for those, and we’re now getting 400 to 500 listeners for each program. And then there’s the Antiques Roadshow. How long have you been part of the Antiques Roadshow? I’ve been doing it for about 20 years and it’s still exciting — I love it. You never know what you may see, but even more important is the camaraderie and the relationships that you develop. As I’ve said before, a steady stream of books to buy is an essential part of our business. If a client talks to one of the major auctioneers about selling a book collection, those auctioneers may only be interested in the very best dozen or so books in the collection. Often, due to the Roadshow contacts, they mention to the client that Brattle Books might be interested in the rest of the collection. We’ve gotten some good libraries that way. And often, my wife and I will go to wherever the Roadshow will be filming a couple of days early. It gives us a chance to see parts of the country that we might not otherwise get to see. So whether or not a segment with me gets on the air, it’s still a wonderful experience. Are there changes in book collecting today? I get that question a lot, and the simple answer is “yes.” That’s not new. I’ve been in the business long enough to see particular interests come and go. There have always been changes in the books or authors people want to collect. But fortunately, the part of the business that doesn’t change is that millions of people just enjoy reading a good book. Those people are some of our favorite customers. And we’re able to talk to those customers and suggest other books they might like. The online booksellers don’t talk to those customers.